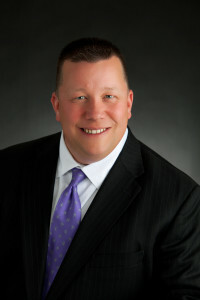 Matthew Johnson has over 21 years of litigation experience in Minnesota, Wisconsin, and federal courts. His litigation practice involves representing clients in personal injury, contractual, and property damage disputes in the areas of automobile, transportation, premises, and liquor liability. His corporate clients include trucking companies, major retailers, hotels, bars, and restaurants. Mr. Johnson also pursues subrogation claims on behalf of workers’ compensation insurers and employers. Mr. Johnson is a frequent lecturer on a number of topics including workers’ compensation subrogation, liquor liability, hospitality law, Minnesota’s No-Fault Act, Alternative Dispute Resolution, insurance fraud, and the Minnesota Fair Claims Practices Act. Mr. Johnson enjoys an “AV” peer rating by Martindale-Hubbell. Mr. Johnson is a qualified neutral under Rule 114 of the Minnesota General Rules of Practice. As part of his litigation practice, he serves as mediator for parties who wish to mediate their legal disputes.